A 10-Day Biblical Tour Through the Holy Land Follow the Matriarchs, Heroines & Prophetesses of the Bible in This Special Tour of Israel. No cruise through the Mediterranean is complete without making a few stops in Italy. Enjoy our Italian packages and Private Shore Excursions. No cruise through the Mediterranean is complete without making a few stops in Italy. Enjoy Ciao Italy's pre- or post-cruise packages and Private Shore Excursions. This unique 7-Day Transatlantic event cruise includes expert speakers, insightful activities and exclusive events on board plus an array of related bespoke shore excursions in selected ports of call. Additionally, this route's wealth of history, links to the new world, and personal stories of emigration provide an evocative setting for a dedicated family history cruise - 04 November 2018 on board the Queen Mary 2. American Queen or American Empress Steamboat Cruises. Which experience will you choose? American Queen is said to be the largest river steamboat ever built. The ship was built in 1995 and is a six-deck recreation of a classic Mississippi riverboat, built by McDermott Shipyard for the Delta Queen Steamboat Company. The American Empress is a 360-foot (110 m) diesel-powered paddle-wheeler that was formerly operated by Majestic America Line and named the Empress of the North. We are going to round-trip from Seattle, Washington to the Inside Passage of Alaska on this wildly, wonderful summertime 7-day cruise. A perfect opportunity to celebrate our country’s beauty with a new way to discover Alaska, an educational trip for the children, and a relaxing vacation for the adults. Sydney’s harbor is the hub from which there’s much to see and do. You’ll want to explore this area, home of the iconic Opera House. Admire the skyline, swim at a harbor beach or cross the Sydney Harbor Bridge. Want to see surfing? Grab your sunblock and towel and spend the day on world-famous Bondi Beach. Feel the Cosmo vibe as you visit Melbourne. Finish the Route 66 - Mother Road Ride/Rally with this unique 7-day Mexican Riviera cruise itinerary, you get overnights at sea in order to enjoy the ship, friends, family and reminisce about the Route 66 ride you just completed. You’ll be on land in Mazatlan, Cabo, and Puerto Vallarta as you discover cascading waterfalls, white sand beaches, historic sites and unspoiled nature. This exciting adventure will sail you to places you may not have ever considered. Let’s begin by flying to New York or Boston. picture this…we will board our ship and depart our port under the umbrella of “one of nature’s amazing spectacles” of rich autumn hues - golds, burnt oranges, crimsons and greens; while on a tranquil sea of deep blue… Leave behind the concerns of work, social networking and community; set sail on a relaxing adventure that will take you to Nova Scotia, New Brunswick, Maine, and St. Johns Bay of Fundy. Ever been there??? Cruise Japan on our Island style of travel; means getting out daily in a variety of ways to experience the wonders of the Orient. The cruise broadens the notion of sailing the Islands to include spaciousness, comfort and five-star Asian cuisine. Cruise the Amazon on our expedition style of travel; means getting out daily in a variety of ways to actively experience the wonders of the Upper Amazon. The 28-guest boat broadens the notion of expedition to include spacious, air-conditioned comfort and five-star cuisine. Your dream vacation is waiting on a Caribbean Cruise and bask on pristine beaches while enjoying island cocktails. As you cruise from port to port along stunning coastlines, we'll keep you entertained day and night with exciting nightclubs, award-winning restaurants, a grand casino, swimming pools, a pampering spa and so much more. There's tons of fun for kids too, so bring the whole family and enjoy the adventure of a lifetime. Soak up plenty of culture and adventure in the Southern Caribbean. Scale the natural stone staircase of 600-foot-long Dunn’s River Falls, one of Jamaica’s most treasured attractions – a must see and do! 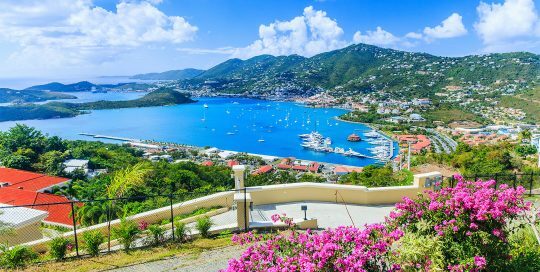 Discover the Dutch side or the French side or both sides of St. Maarten. Cruise the Adriatic and Mediterranean Seas on our cultural style of travel; means getting out daily in a variety of ways to experience the wonders of these five countries. The cruise broadens the notion of sailing; to include comfort and spaciousness, and five-star cuisine. We are going to sail from Vancouver to the Inside Passage of Alaska ending in Fairbanks on this wildly, wonderful summertime 14-day cruise & land tour. A perfect opportunity to celebrate our country’s beauty with a new way to discover Alaska, an educational trip for the children, and a relaxing vacation for the adults.